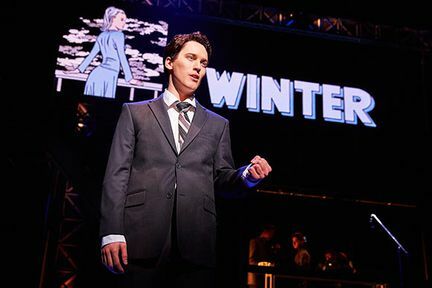 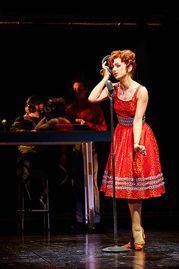 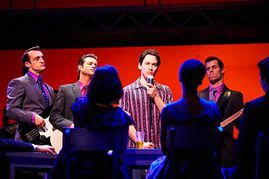 Winner of the Olivier and Tony Awards for Best Musical, Jersey Boys is in its 9th year in London. Telling the story of Frankie Valli and The Four Season, a band so iconic its members seem more like living legends than flesh and blood, the musical has been seen by over 23 million people worldwide. 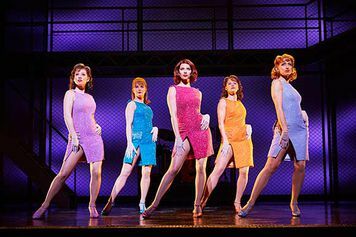 Featuring a plethora of their most famous songs, most of which you will already know to hear, this is one of the best nights out in London! 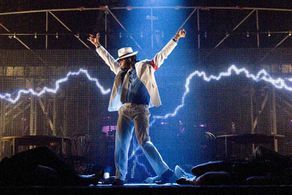 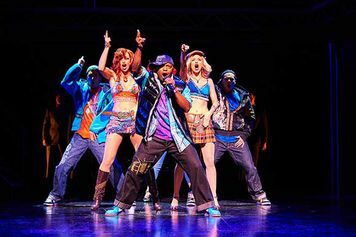 Smash hits such as ‘Big Girls Don’t Cry’, ‘Walk Like a Man’, ‘Working My Way Back To You’ and ‘Bye, Bye Baby (Baby, Goodbye)’ you’ll be tapping along and having to resist the urge to get up and dance in the aisles! Telling the story of the formation of the band, their rise to the top of the charts and the more pressing times they encountered along their musical path, Jersey Boys is a fascinating insight into this much loved band and the trials and tribulations of the music industry. Jersey Boys recently completed a tour of the UK and will end its West End run in March 2017 – don’t miss it! Jersey Boys looks at the remarkable story of four blue-collar kids from the wrong side of the tracks in New Jersey who go on to become one of the biggest acts in pop history. 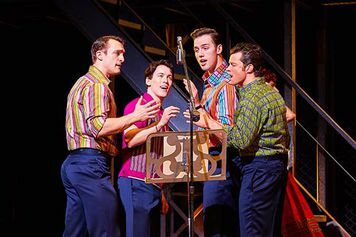 You’ll be gripped as you learn how the area they came from shaped the lives, loves and songs of The Four Seasons – and all straight from the horse’s mouth, as each band member takes a turn at telling his tale. You’ll hear how mob connections, bad debts, prison time and jealousy took their toll, but also how talent took them to the very top. And along the way you’ll find out one or two fascinating facts – how fellow Jersey boy Joe Pesci turned the trio into a quartet, how the band got their name, the struggle behind their first big hit ‘Sherry’ and how the mega-hit 'Can’t Take My Eyes Off You' almost never was. You’ll particularly love Jersey Boys if you’re a baby boomer. 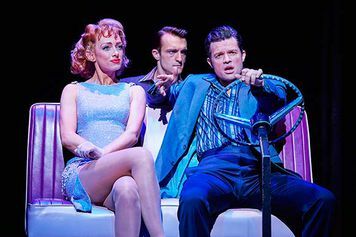 But this really is one of those shows people see, then come back again with the whole family. You’ll instantly respond to the doo-wop beats of those timeless classics, whatever your age. And if you’re a fan of The Sopranos or Goodfellas, you’ll be surprised to find this story has edge as well as fantastic songs and a whole lot of heart. 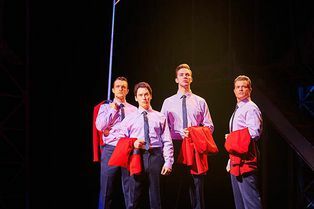 The Four Seasons are portrayed by Matt Corner, as Frankie Valli, Simon Bailey as Tommy De Vito, Declan Egan as Bob Gaudio and Matt Hunt as Nick Massi. They are joined by Nicola Brazil, Stuart Dawes, Mark Dugdale, Nicky Griffiths, Will Haswell, Mark Heenehan, Joe Maxwell, Nathaniel Morrison and Dan O’Brien, with Leanne Garretty, Lucinda Gill, Mark Isherwood, Ben Jennings, Chris Stoddart and Ben Wheeler, Dayle Hodge plays the role of Frankie Valli at certain performances. 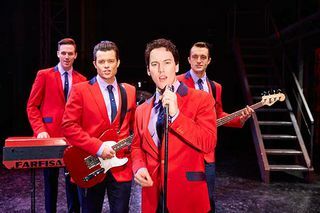 The score for Jersey Boys requires a small orchestra with nine musicians: three keyboards, guitar, bass, drums, two woodwind players and a trumpet. During their nearly 40 year career, Frankie Vallie and the Four Seasons sold over 100 million records. That makes them the most successful white doo wop group. 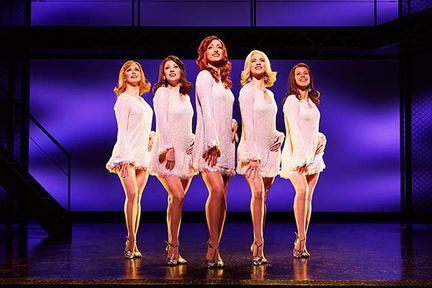 December 1963 (Oh What A Night) spent six months on the charts. It was the best selling Four Seasons single of all time and, at the time, was the longest-charting single in history lasting fifty weeks on the Hot 100.